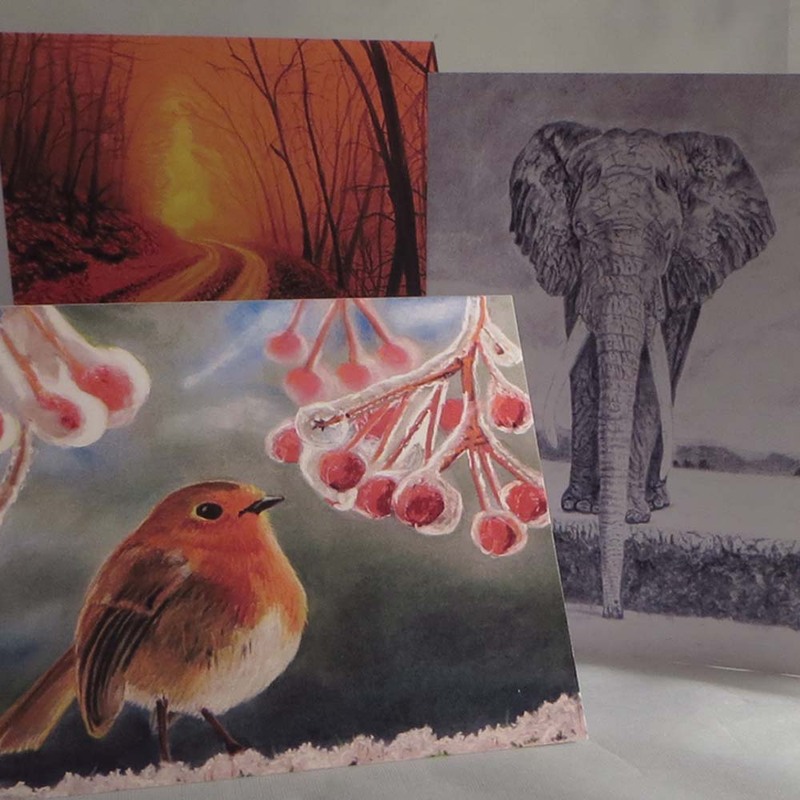 Fine art greeting cards are a great way to showcase your artwork. 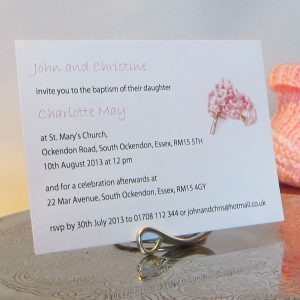 With this service you can create beautiful cards for any purpose – for example as notecards, thank you cards, birthday and Christmas cards – the choice is yours. Fine art greeting cards are a great way to showcase your artwork. With this service you can create beautiful cards for any purpose – for example as notecards, thank you cards, birthday and Christmas cards – the choice is yours. 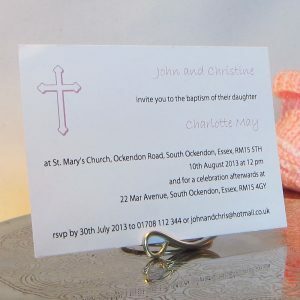 Cards can be left blank or printed with a verse and, if desired, credits added. A free draft will be emailed as a pdf file for approval prior to printing. You may request changes to the draft until you are happy for printing to commence. Orders are safely packed and, if sent, artwork will be returned with your card order. 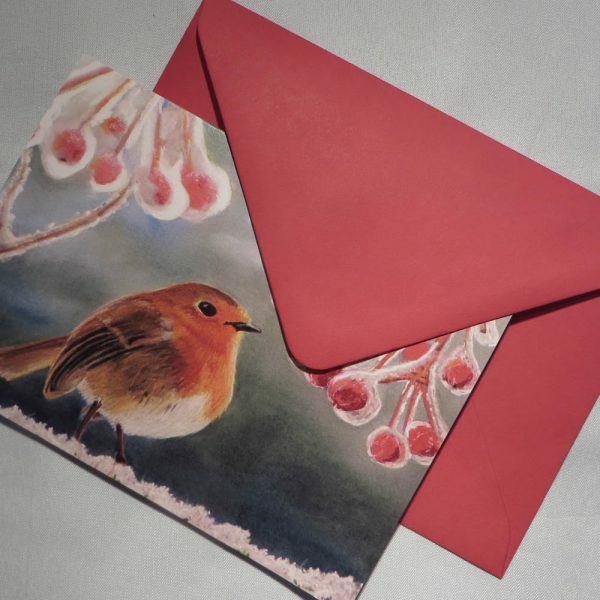 This listing is for cards with envelopes in multiples of 12. Cellophane sleeves are available if you are purchasing for onward sale. Printing files will be kept on our system free of charge so you can always order re-prints. Please see our “how to” guide on sending us your your work Click Here. This product reference is FAP01 you will need this to fill out your details. We strive towards an excellent service for all our clients and aim to accommodate wherever possible your requirements. 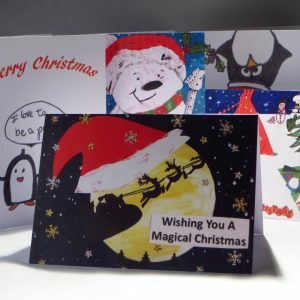 If you need your cards urgently please contact us before you order. These are low resolution photographs and colours may look slightly different on your computer according to your screen settings. Props used in the photographs do not come with the item. 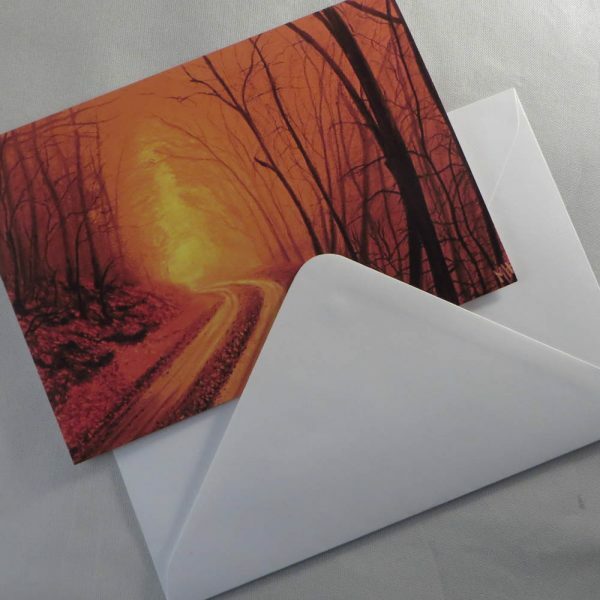 Item consists of cards with envelopes and cello sleeves if selected. Should you have any queries please do not hesitate to contact us quoting FAP01.